Within The RLJ Companies portfolio, Johnson owns or holds interests in businesses operating in hotel real estate investment; private equity; financial services; asset management; automobile dealerships; sports and entertainment; and video lottery terminal (VLT) gaming. 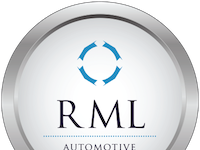 The RLJ Companies is headquartered in Bethesda, MD, with affiliate operations in Charlotte, NC; Little Rock, AR; Los Angeles, CA; San Juan, PR; and Monrovia, Liberia. The RLJ Companies is an American asset management firm owned by entrepreneur Robert Louis Johnson. After selling Black Entertainment Television in 2001, Johnson's first company, he created RLJCompanies in Bethesda, Maryland.